Many theories have been proposed to explain why people age. Most theories blame aging on damage to your DNA [deoxyribonucleic acid]. Before you can understand the theories regarding aging and how to increase longevity we must define our terms. The cells in your body contain your genetic information in the form of 23 pairs of chromosomes-each cell contains the same genetic information-the same 23 chromosomes-this is your DNA. Each chromosome is made up of sequences of 4 nucleic acids-adenine, guanine, thymine, and cytosine. You are a multicellular animal that requires cells [somatic cells] to divide in order for you to grow, maintain, and repair your body. The cells that produce eggs and sperm are not included in this discussion. During cell division-mitosis-one cell divides into 2 daughter cells each containing the same 23 pairs of chromosomes. However if this statement were completely true you could possibly live forever. During chromosome replication [mitosis] the enzymes [enzymes are chemicals that cause reactions] that duplicate the DNA cannot duplicate the DNA all the way to the end of the chromosome. 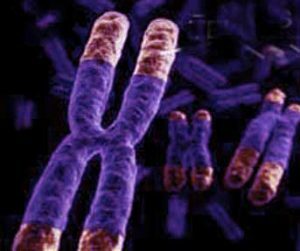 Thus in every somatic cell division the end of the chromosome [the telomere] is shortened resulting in a small loss of DNA.